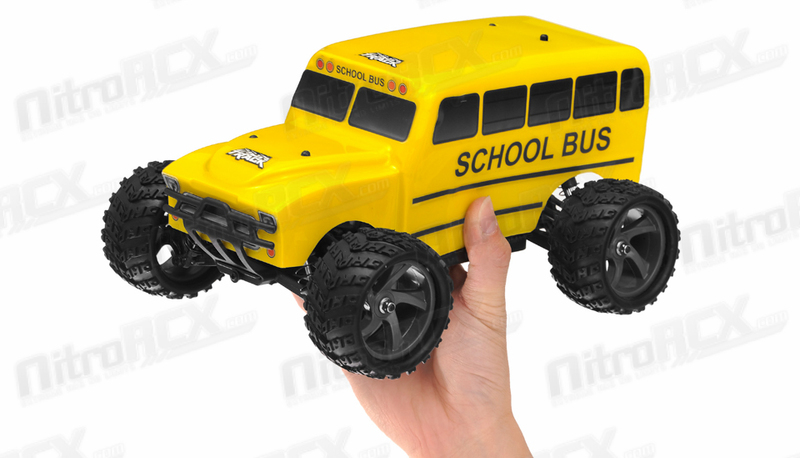 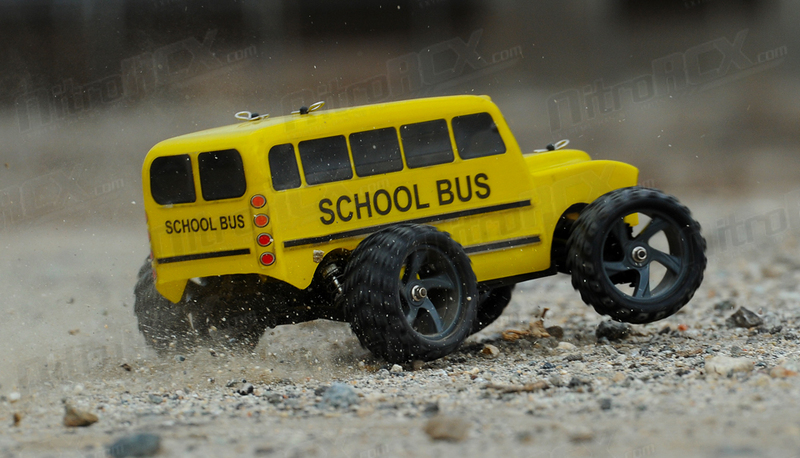 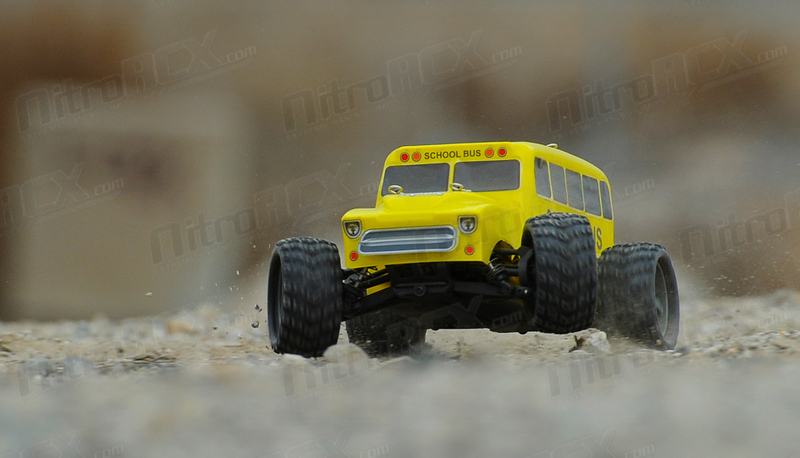 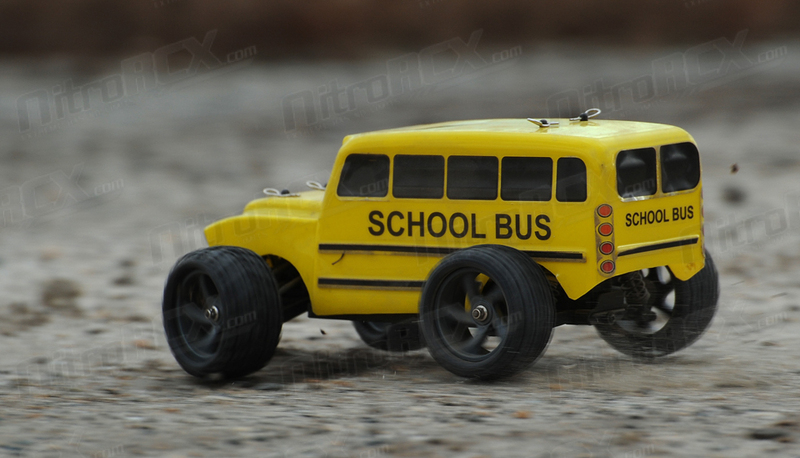 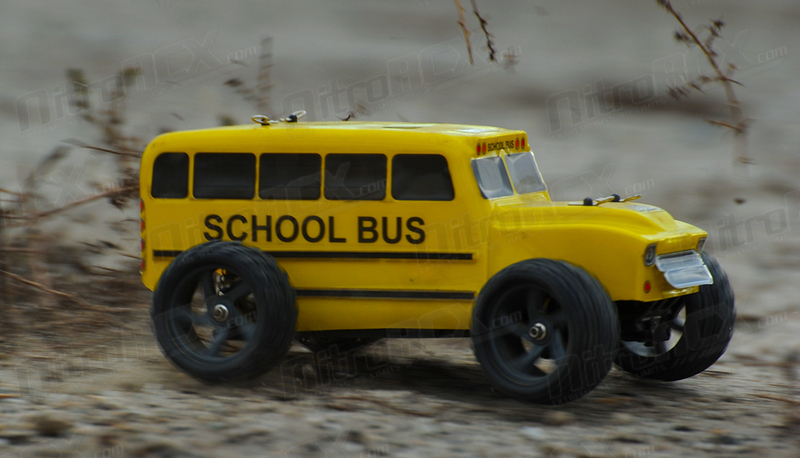 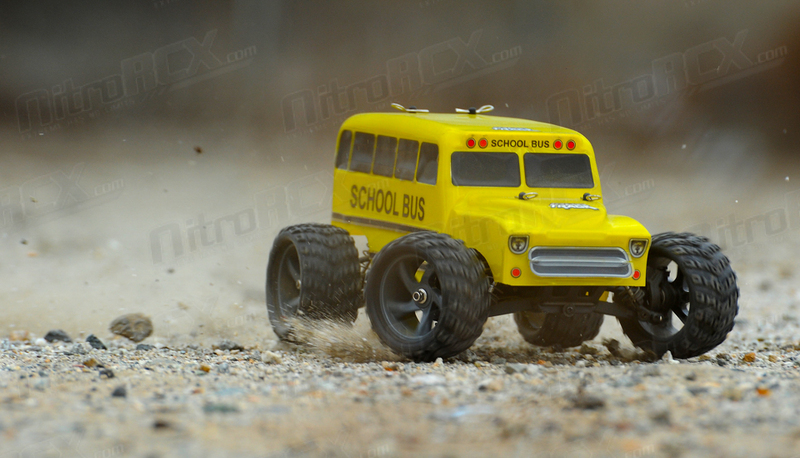 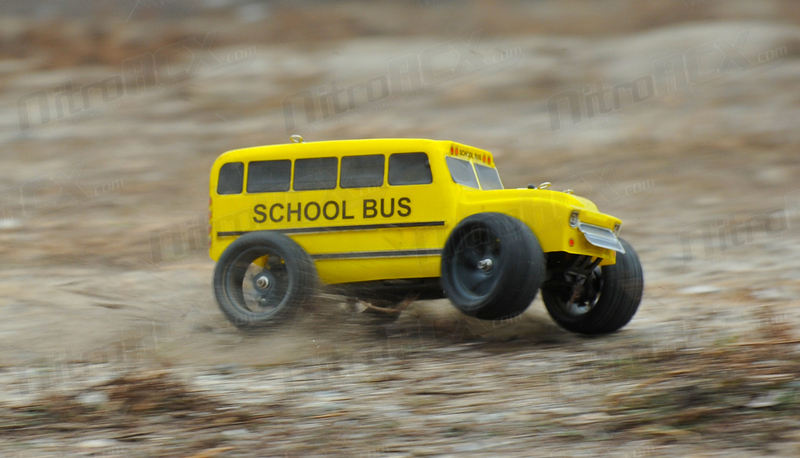 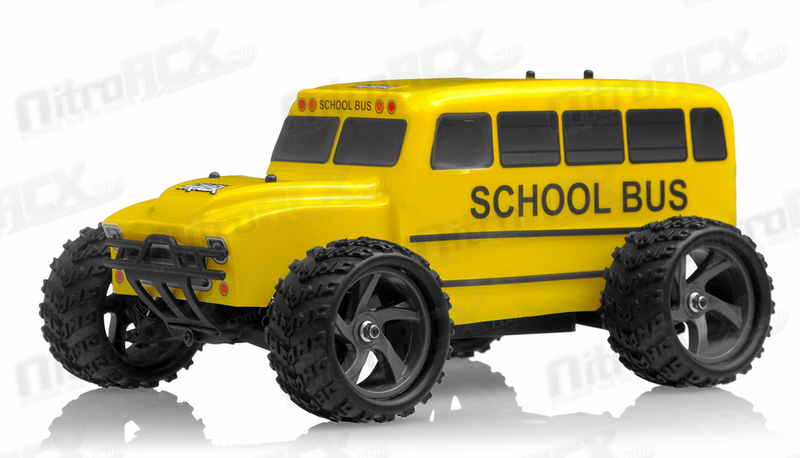 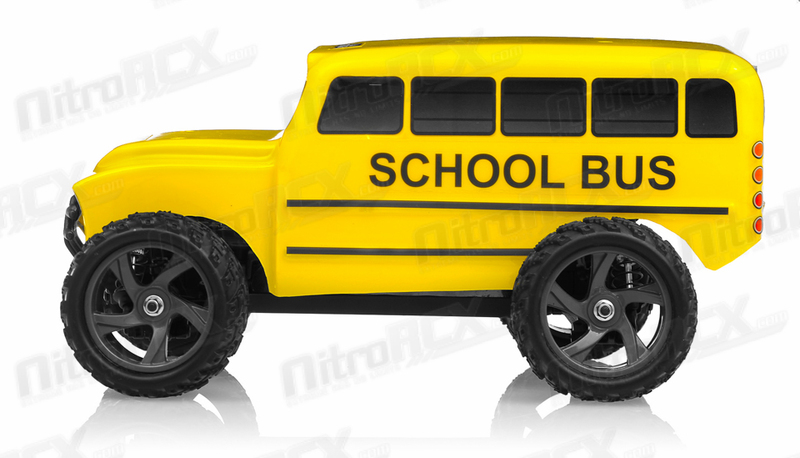 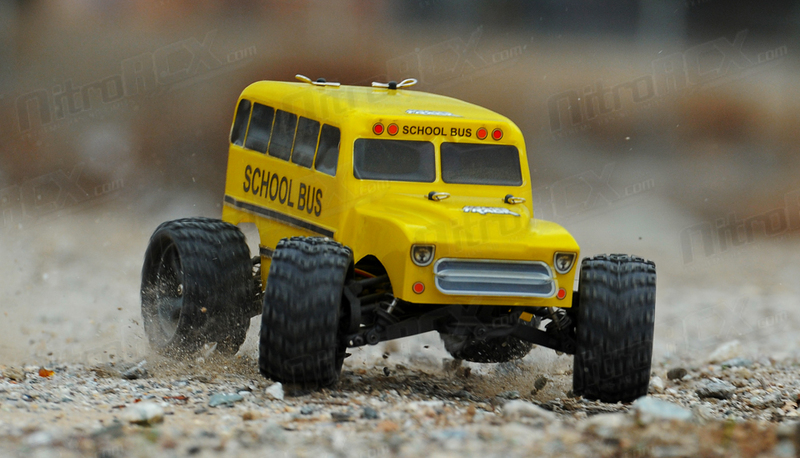 Iron Track introduces its newest 1/18 scale Yellow Bus Truck. 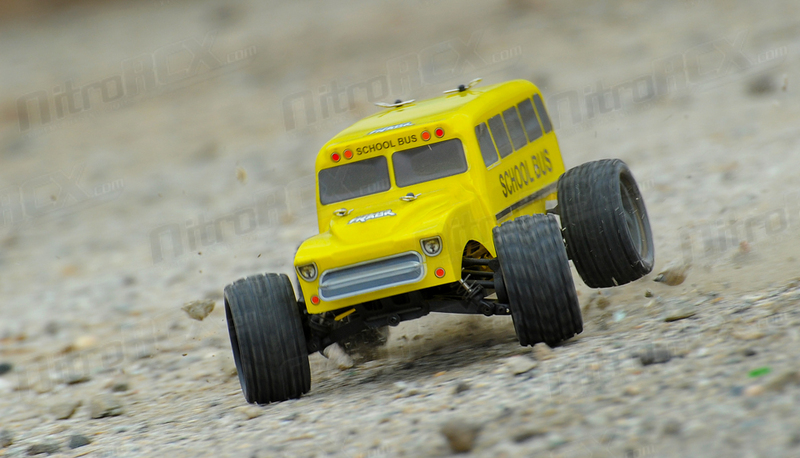 This small scale truck has all the key features of bigger scale radio control trucks. 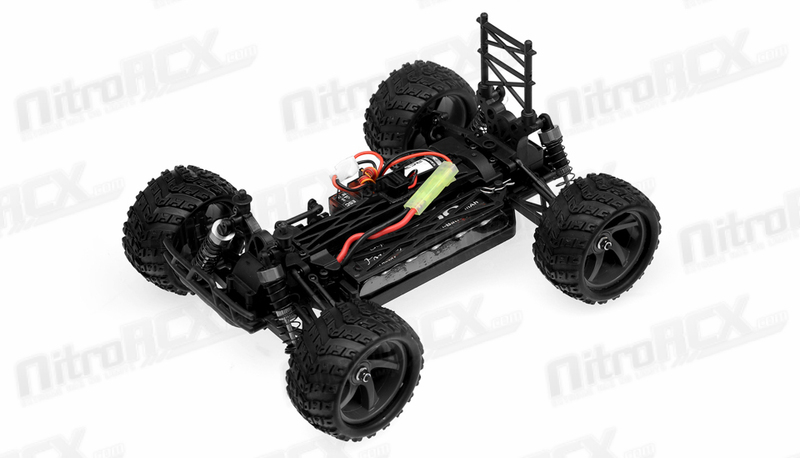 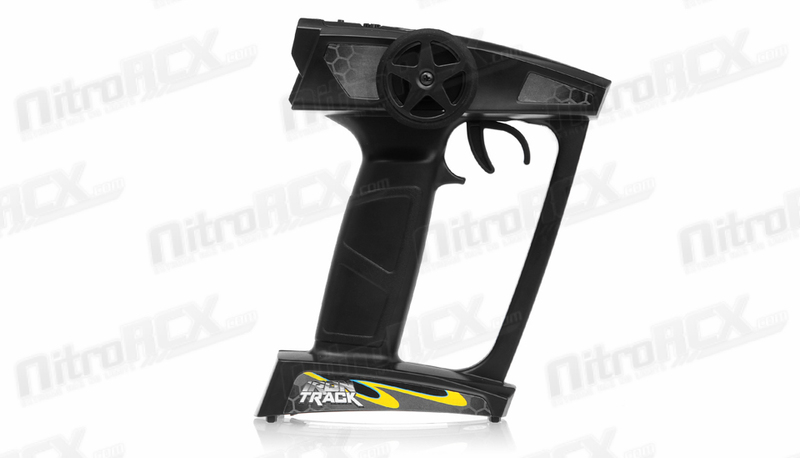 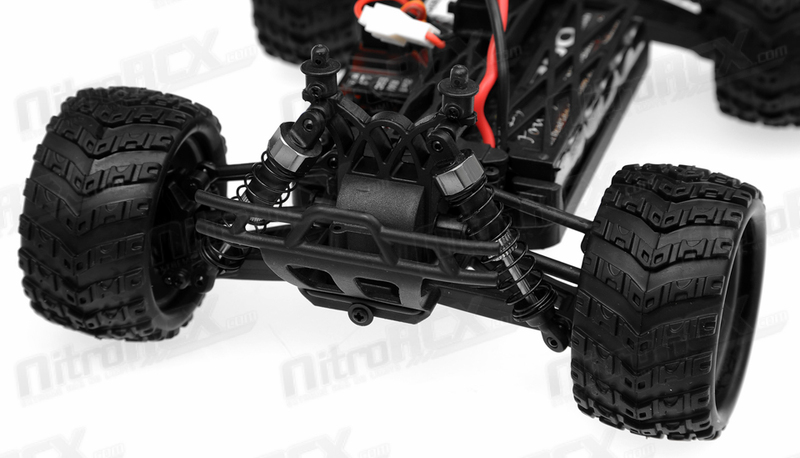 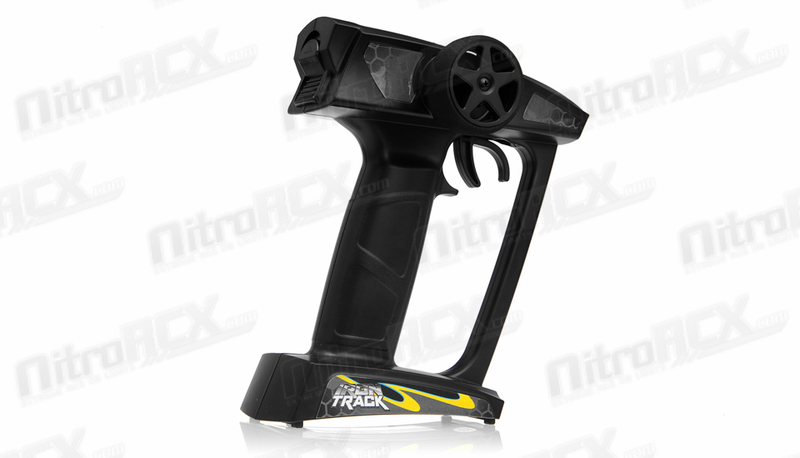 Features such as shaft driven four wheel drive, durable geared differentials, oil filled shocks, and a robust chassis construction are all packed into a compact package perfect for running in any type of environment. 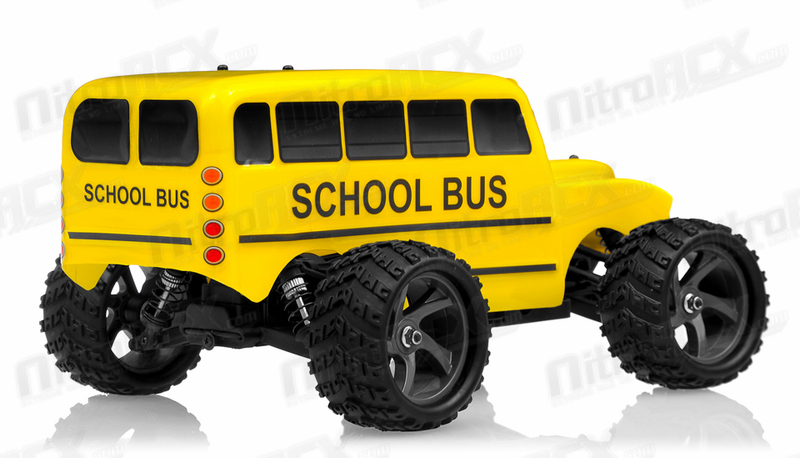 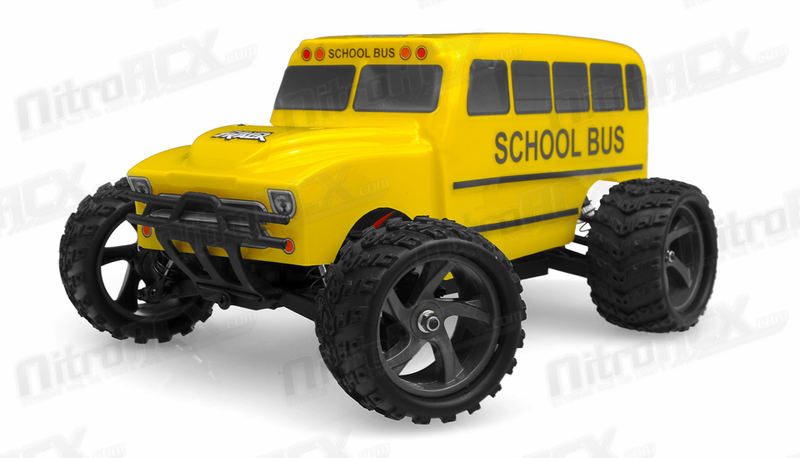 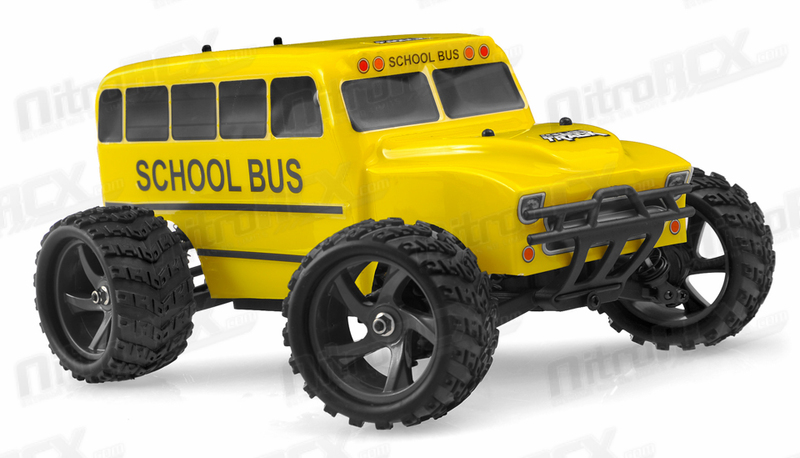 The Yellow Bus is also fully equipped with a 2.4ghz radio system, powerful 370 brushed motor, 120amp burst rated speed controller, and a 7.2v 800mah Ni-Mh battery pack. 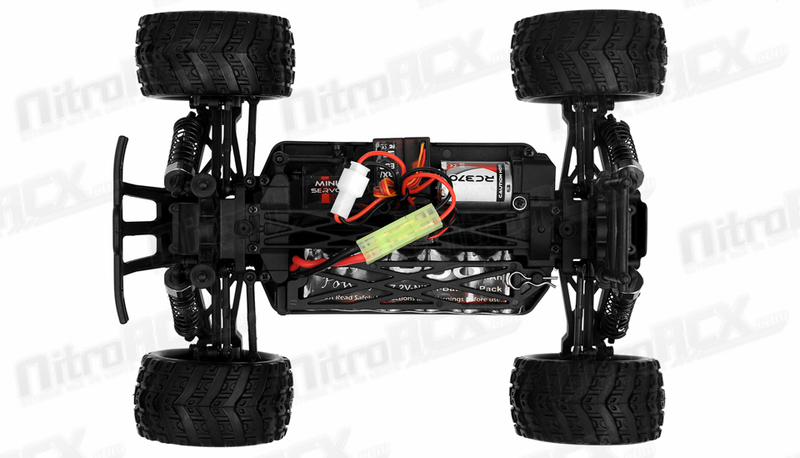 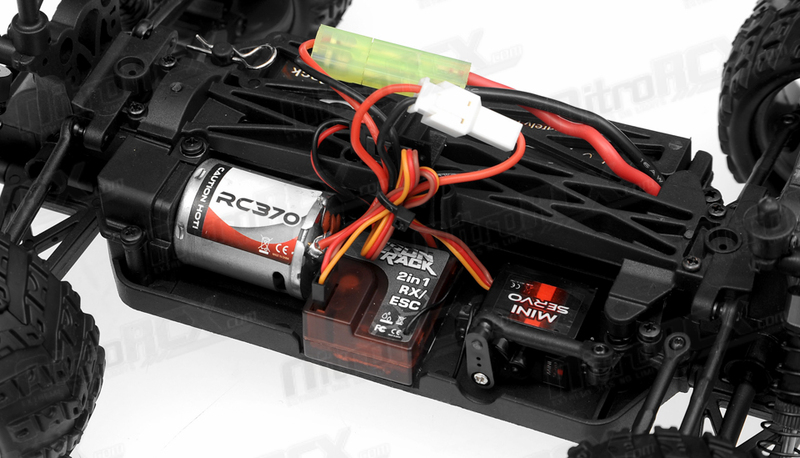 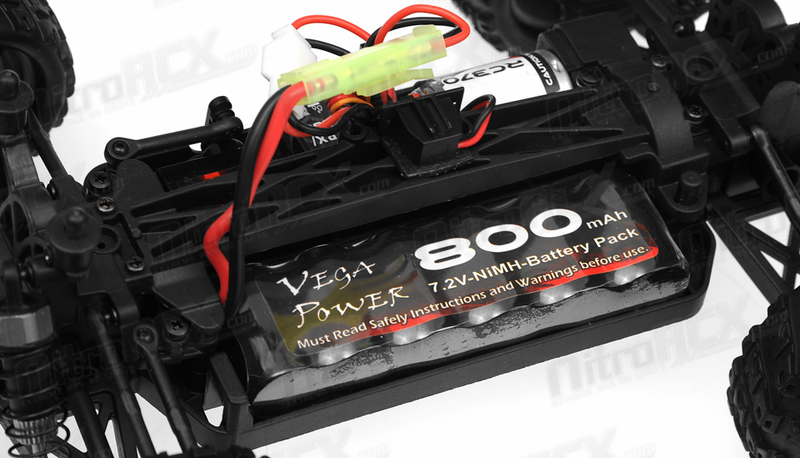 It is completely ready to run with the exception of adding AA batteries for the radio system. 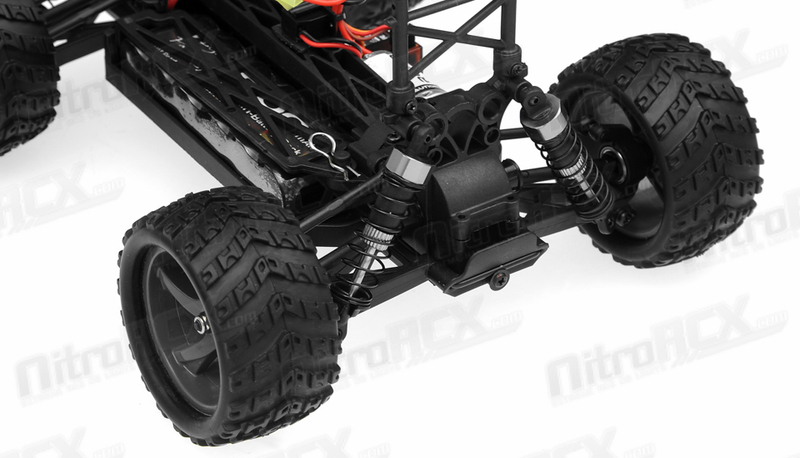 The compact monster truck chassis lets you take on other off-road vehicles in wheel-to-wheel action, allowing you transform your yard or house into a exciting race course!